Skulls and Bacon: Bacon Giveaway from BaronBob,.com! Thanks, I gave it a shot. I have a weakness for the Baconnaise. Currently I help admin on this new blog community http://www.exposeyourblog.com and I was trying to come up with unique blogs that would be great to have represented on the site and well one idea that has always cracked me up is the blogs completely themed around bacon such as yours. 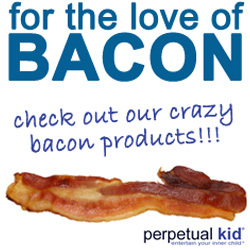 I love bacon, because... well... who doesn't? and think it would be great to have some bacon blogs on our site so if you would like to get more people reading your blog and participate in our blogging community, or even are just curious come check us out. The site is completely free and a great place to discuss and further your blogging. Man oh man, I hope you are okay. It has been a long time since your last communication. BaronBob says I am a flake!